It's a good topic for new DLC instead of Pacific. Hope someones support my advice! That would be great, but I don’t think it would be as financially viable to the devs as Midway, Normandy, etc. 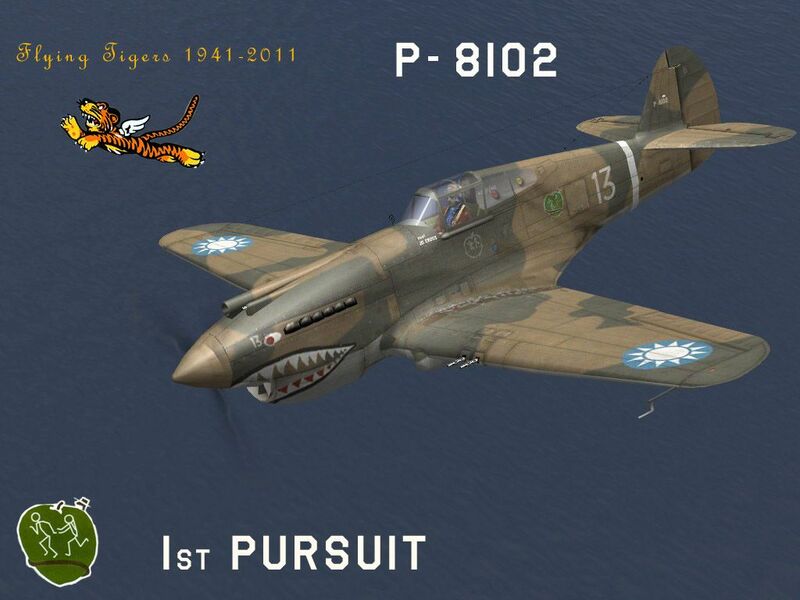 To do the Flying Tigers justice you would need a lot more than just a P-40. Someone would have to make the Nate, Val, Sally, Oscar, and a few more I forget ATM. I think that was still a bit early for the Zero. Right, all you would need is C47s Flying over the Hump loaded down with drums of fuel. No islands or hundreds of miles of repeating waves to eat up CPU resources. On the fareast & Pacific battlefield during 1940-1942 , Flying Tigers was the only team that could overcome the japanese air force. The chance to fly an early P-40 would be worth it imo. Flying some of this stuff would be pretty sweet. P-40 vs Oscar is a close second behind Zeke vs Wildcat for me. Would be awesome. I'd definitely buy it. P.S. : I'm curious how those telescopic gunsights would look in VR. Should be cool but I think it would be difficult to use them especially in dogfights. I'd go for that... Loved playing that 'White Sun Blue Sky' campaign with the old IL2 ... 71 missions, it was just great! Author was 462cid, or Chris Blair as he is known. If you still have the old IL2 on your HD and you haven't played it yet, give it a go. All in for this! Besides Battle of france,this would be a insta by for me. Forget about the midway thing. You have only one smal island and then water...water all around...water till the horizon. It becomes boring very quickly to the players. Flying over the green hell of Burma would be so awesome. Thx to the warbird scene, the 2 most iconic planes of this time are still in flying conditions today. There´s is a reason why I love the Ki-43 since I was a child. This plane is so beautifull and its flight characteristics was so outstanding for this time. I still hope the Dev. Team will make this happen one day. I always thought the Oscar was a beautiful plane. Really clean lines - looks like the gymnast that it is. I would never want to go to war in the thing but it is a looker. A China expansion would be really great, my favorite actually, but, there are reasons why it will not happen, beyond the dev team already being stretched to the limit. I don't know if 1C has many sales in the People's Republic or not, but if they ever wanted to get into the world's largest market, having P40s with Nationalist Chinese markings on the wings would be an absolute no go situation. This could be very interesting, wouldn't it? I grabbed a book the other day simply titled "Dogfights", it has five chapters squaring off two aircraft types at specific times during the war. One chapter was devoted to the P-40 vs Ki-43 matchup in the CBI. What was new to me was the level of fight the IJAAF was able to put up late into the war. They were still able to pull off tactical victories until the last weeks of the war. 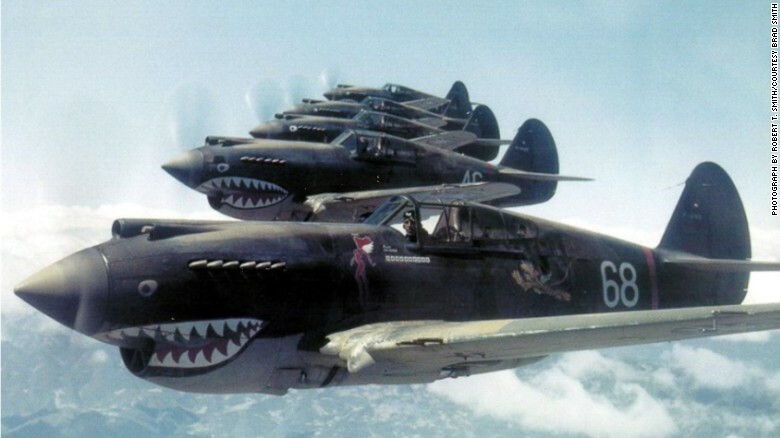 The CBI american and chinese pilots fought on with late model P-40N's until the end of the war when Mustangs were finally making their mark in large numbers. A China expansion would be really great, my favorite﻿ actually, but, there are reasons why it will not happen, beyond the dev team already being stretched to the limit. I don't know if 1C has many sales in the People's Republic or not, but if they ever wanted to get into the world's largest market, having P40s with Nationalist Chinese markings on the wings would be an absolute no go situation. Check this thread out, it may interest you. Also, it serves as a good example of how to make a good 'suggestion' thread for anyone who is thinking of posting a thread. I hope you are right sir. The P40 was the third most produced US fighter of the war and wasn’t surpassed in numbers produced by the P47 until 1944. Wildcats are a far, far smaller number of aircraft in a much smaller sphere of operations. But, sure. What do numbers have to do with personal preference for a certain aircraft? I think you may have misunderstood his post. Some beautiful art in that book.